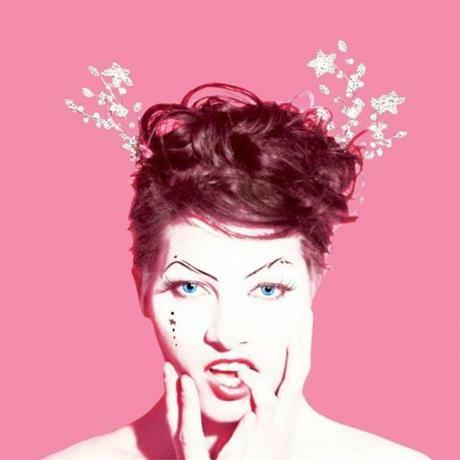 So, over a month ago now, Amanda Palmer released her new album, ‘Theatre Is Evil’. It was crowd-funded through Kickstarter, and I was one of the many who funded it. Below, I present to you a review of the album, as well as a number of comments on the whole process. When I first discovered the project on Kickstarter, I was a little intrigued. I had heard a bit if Amanda Palmer’s music before, mainly from her ‘Down Under’ album about Australia, and so I thought it might be interesting. What really sucked me in was that I only had to put in a dollar to get a digital download of the completed album. I was convinced, I put in my dollar and waited. I had previously funded a few projects on Kickstarter , and had found the updates to often be more annoying than informative. They usually just rattle on about how everything was going well, and you’d get your stuff soon enough. However, this turned out not to be the case with the updates from Amanda Palmer. They somehow were much more interesting than that. She communicated a lot of information about the creative , as well as logistical, processes involved with producing the album, as well as the art book that she was making with it. It was an interesting insight into the procedure and effort that go into a creative work like this. In the end, the updates themselves were almost worth my dollar! One of the first things I noticed when I fist got the album was the length of the songs. Most of them are, at least, 4 minutes long, with some as long as 7 minutes. And there’s quite a few of them; 19 to be exact. 16 songs at 4+ minutes long each = over an hour of music! For a dollar, that’s very good value for money! Now, I haven’t heard that much other Amanda Palmer music, so I can’t really say what song of hers each track reminds me of, breaking part of my normal reviewing method, but I’ll make a comment on each track and rank its quality on the album. Comments: A strange little sound-bite of some woman speaking what sounds a bit like German, introducing the band. Comments: Starts unenthusiastically, with a dragging pace. This song consists of two parts, a loud buzzing mess of sound and Amanda Palmer’s vocals. As it goes on, it does get slightly more energetic, but generally the song drags, however I think this is done on purpose. It ties to the lyrics’ sense of inevitability. Comments: One of the biggest earworms of the album, this song got stuck in my head, and is one of my favourites. Really refreshing, as it moves through 3-4 different phases. It has a strong moral meaning. There’s a beautiful depth to the music given by the horns. Comments: Amanda Palmer has somehow made a bunch of taboos into an acceptable, entertaining song here. She also invents a word: lonlinessless, which I’m not sure what it’s suppose to mean. Title is misleading, in a good way; it’s much more interesting than you’re led to believe. Comments: This song has a brilliant energetic vibe, even when it goes into the slower electro passages. It’s mainly carried along by the piano. It’s one of those fast speaking tracks, where they say a bunch of things you can’t keep track of. Comments: A surprise of a song. It’s very opinionated and a bit funny. The laidback groove suits it. Comments: Piano driven song with violins for good measure. I don’t much enjoy the melancholy of the song, but I do enjoy the swell of the music. Comments: A heavy instrumental march to break the album up. It’s full of drums, guitar, strings, piano, and horns. It seems to basically utilises every instrument on any other track on the album, bar vocals. It’s fairly short but still seems to go on forever. Comments: Indie pop/rock kind of feel, with irregular rhythms and beats. Comments: Very laidback and bare track. It has sections of near silence with just the grinding of a bass beat carrying through til the vocals return. It somehow manages to feels both cheery and sad at the same time; I guess you’d call that hopeful? It all comes down to the articulation, which is used to great effect. Comments: Another very bare track, only consisting of piano, being frantically played, and vocals. The lyrics tell an abstract, but fairly clear story. Comments: Electro 80’s feel, with horns and what sounds like an oboe, but I think it’ s just keyboard. It has a strong beat like she’s marching down the titular road. Comments: Cheerily presented song about sexuality and fidelity. It goes into a funny games parlour electro-jingle section in the middle, followed by a horn herald, before returning to the punky rock style of the rest of the song. Comments: This starts a softly spoken track, with no more than piano and vocals. After a few minutes, horns come in making it feel dramatic and theatrical. Then it speeds up. It finishes in the style it started in. Comments: A fun kind of punk-style song. Comments: A playfully aggressive, piano driven track which sort of reminds me of Billy Joel at a few spots. Comments: Melancholy track full of longs pauses, giving a meditative and reflective feeling. The vocals are softly spoken and only accompanied by piano which plays in time with the singing. Comments: A light-hearted ukulele song, typical of Amanda Palmer, and reflective of her character. I can imagine various ukulele comedians singing this. Comments: A muttered song containing a few sound-bites from St Kilda. It tells a story though a mixture of random thoughts. All of these songs have a great amount of depth on a multiple levels; in the lyrics, as well as in the instrumentation. Certain songs utilise horns, piano, strings, and the standard rock band setup. There are various reference to pop culture and modern life throughout, such as The Wizard of Oz , and “check your messages and charge your phone”. Each song has a bit of a surprise to it, and you can’t expect the start to be what the song is like all the way through. You definitely have to have a open mind to listen to Amanda Palmer, as she often seems to discuss topical subjects in her lyrics. You have to be willing to hear her out and think about it, otherwise there’s not much to listen to. Either that, or you have to be blissfully unaware. Overall, I liked and enjoyed this album, but there are only a few songs that I liked enough that I’d be wanting to hear them again regularly. Have you listened to “Theatre is Evil” yet? What did you think? Did it live up to your expectations? Do you even know who Amanda Palmer is? Have I said anything you disagree with? Tell me & everyone else who passes through here what you think in the comment below.